Nestled deep in the heart of the Cascade Mountains and bordered by miles of national forest lies a quiet campground where solitude is nearly guaranteed. 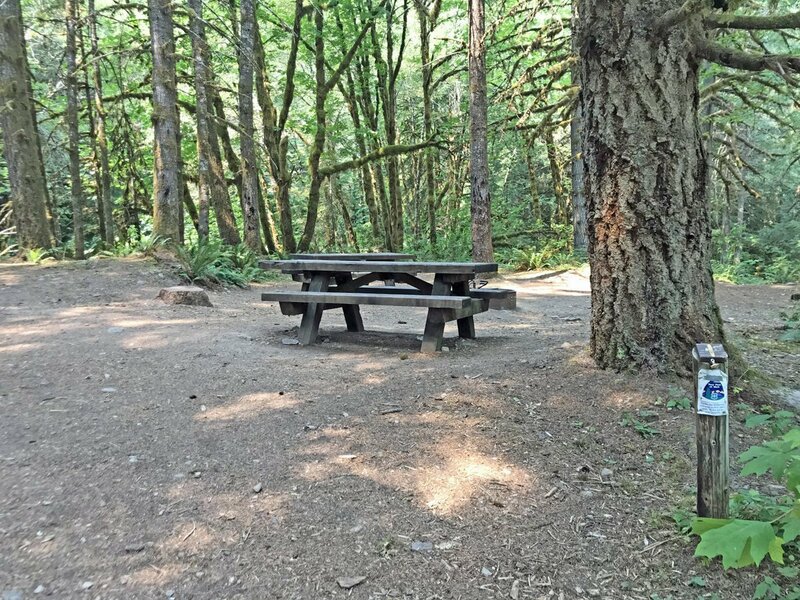 Lund Park Campground boasts just 10 sites and basic amenities. Perfect for a family like ours. 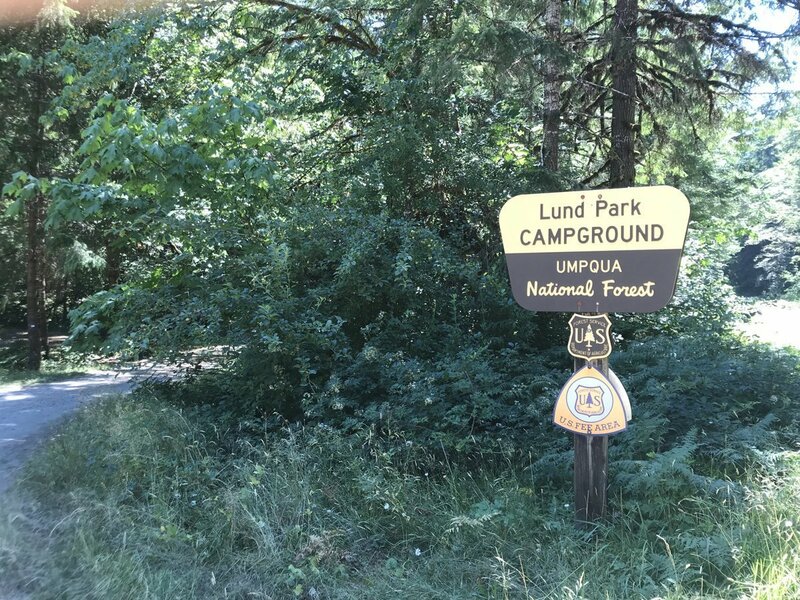 We stayed 2 nights at Lund Park in mid-July. After driving through, we chose site #8 for its distance from other occupied sites and its safety for our small children. Site 8 is against the road, but a steep (really steep!) climb is required to reach the road. Otherwise, we could see for 50 yards in any direction and the creek was a safe enough distance. Plenty of room for our 6-person tent. We also set up a 2-person tent nearby for our older kids. We could easily have set up a third tent if needed. Also plenty of parking for 2 vehicles. A pit toilet is nearby. There is no water source at Lund Park, so be sure to pack in plenty of water. Also, the park maintenance only comes around every 3 days, so I recommend packing toilet paper as well. I neglected to take my own photo of our site. This photo of Site #8 is from Outdoor Project. Photo credit Halvor Tweto. Lund Park campiste #8 is roomy and perfect for families camping with young children. You can pull an RV into all of the sites at Lund Park. A couple of sites, including #8, have pull-through parking. Sites 1-2 are fairly large, but are walk-in. Sites 3-6 are pretty small, mostly room for just one tent or a small camper. Site #7-9 together make up a great group site, and site 10 is also perfect for groups. 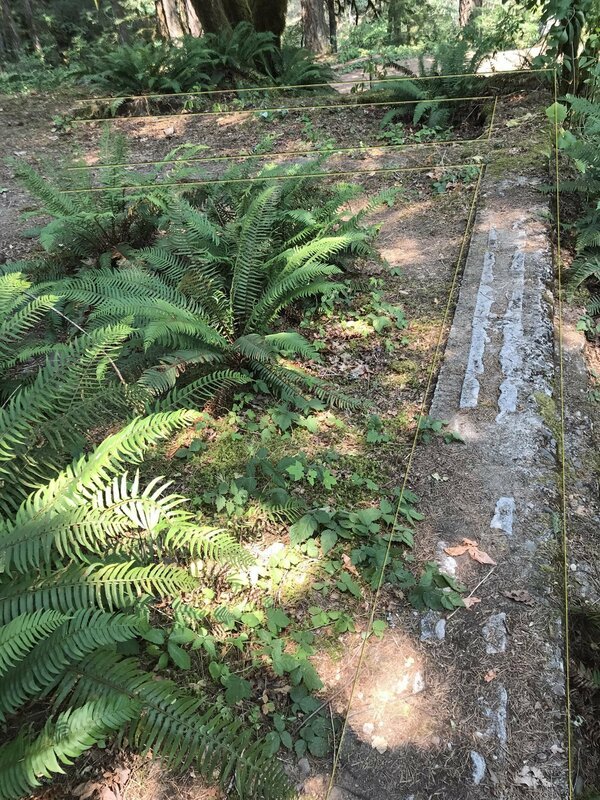 There are many nearby hiking trails, including Brice Creek Trail and the must-see Trestle Creek Trail. But perhaps best of all, tons of amazing swimming holes. We found sandy beaches for our little ones, and jump-offs into blue pools for our big kids. Trail head for Brice Creek Trail, and also access to a swimming hole right in the campground. Right off the trail head is this bridge and swimming area. It was safe (with supervision) for our younger kids, but closer to the bridge is a deeper hole and rocks to jump from. All of our kids had fun, and you can walk to this swimming spot from anywhere in Lund Campground. 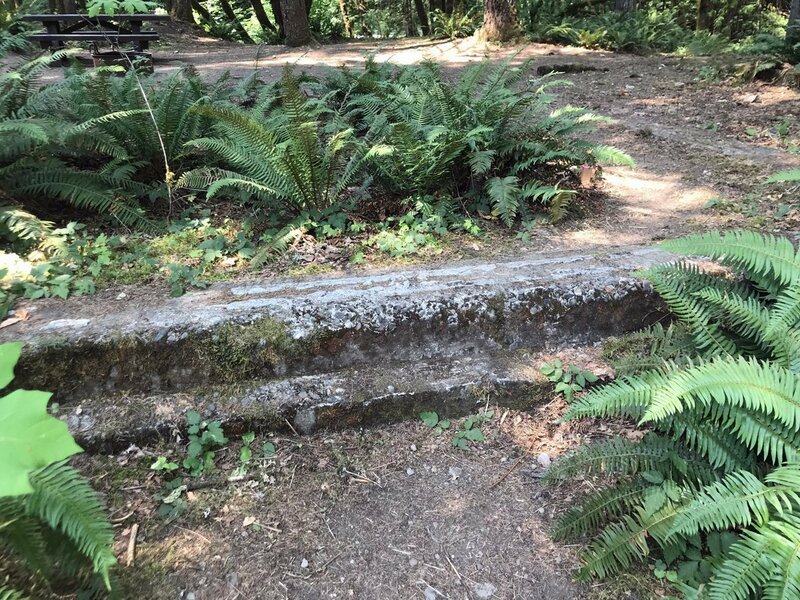 Lund Park has a fascinating history and some of it remains visible near campsite #1 and near Brice Creek. Lund Park was named for Alex Lundberg and Harry Parker and was established in the late 1800s as a stop for miners heading to Bohemia Mountain. 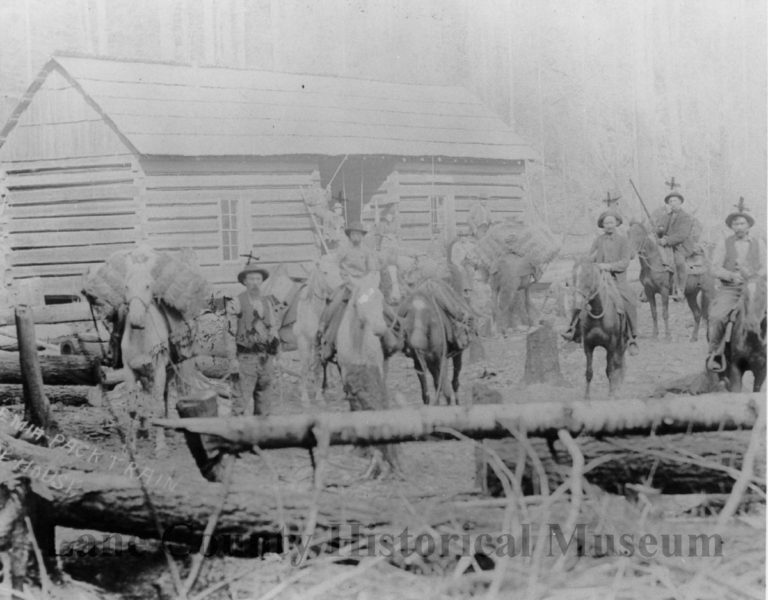 Then, the trip was made on horseback and took 3 days from Cottage Grove (we made the same trip in about 90 minutes). Lund Park was a place to rest and restock supplies before heading up the mountain. The foundation visible at site #1. I’ve outlined it in yellow so you can see how extensive it is. It’s an obvious feature, and if you visit, be sure to check it out! Click to see the same photo without the lines. I was curious about this foundation…Lund Park is so far up the river, so far away from any town, what on earth was this large cement foundation doing here? So I googled it and found a post on My South Lane website detailing the history. I wonder now if this foundation is from the warehouse in the historical photo above? 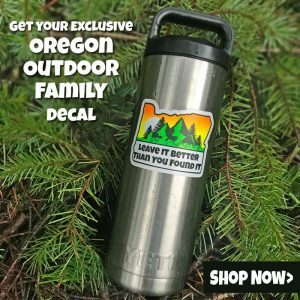 The Umpqua National Forest website lists a post office, hotel, dam, power house, and other small buildings at Lund Park around 1900, so it could feasibly have been any of these buildings. Another view of the same foundation at Site #1. Don’t trip over it in the dark! This incredible pool is just up the road from Lund, accessible from Hobo Campground. While this hole isn’t safe for younger swimmers, just upstream, within sight, is a very safe spot where our toddlers had a blast. This fascinating floating stump is on the beach near the Hobo pool. It was supported by roots on the side, but nothing underneath at all. My 5-year-old was perfectly happy to throw rocks into the creek. I don’t always pack an activity for the kids, but I’ve found that it can be very helpful during down time, like while I’m making dinner. We picked up a variety of small rocks and the kids spent over an hour painting them all. Most of them they hid around the campground for future campers to find.